• Generate Stats on 10,000 Stocks in One Spreadsheet File ! It does not combine the results (as in a portfolio simulation), but it does generate summary results in either a page-by-page format or in a spreadsheet format. It can also be used to capture the same information on just one commodity. 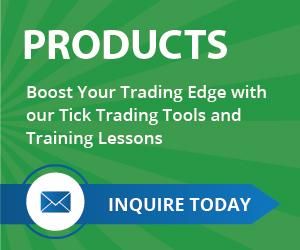 It also allows you to create a file of daily, weekly, monthly, or yearly equity and drawdown results. Results are based on the mark-to-market trade equity. The spreadsheet report can be imported into Excel (or other spreadsheet) for plotting. 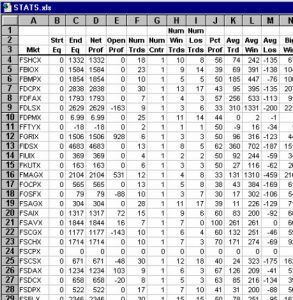 SysStatsScanner2000™ provides both the Omega and Mark-to-Market Drawdown calculations. The Omega drawdown calculation ignores drawdown from equity peaks on profitable trades. Professional money managers know that substantial drawdowns can occur by giving back much of the profit on profitable trades. By marking the equity to market every day, the Mark-to-Market Drawdown can show dramatically different results from Omega’s calculation. SysStatsScanner2000™ is a system that is called by your system using the IncludeSystem command. It is simple to use and consumes only a minimal amount of your valuable system resources. It uses 5 inputs, allowing you to decide which report to print, where you want it sent, and initial starting equity for a realistic simulation. It is compatible with TS 2000 or TS9.x. It generates printed reports ready for distribution. It automatically dates and time stamps the reports, records the slippage and commission used, and allows you space to record the system name, and the input settings. No longer will you have a pile of test results, wondering what the inputs were set at and whether or not you included slippage and commission. The code is unprotected so that you can modify it to meet your own needs. If you are interested in "SysStatsScanner2000", please contact Bill via phone or email using the information below.